Ballerina Duvet Cover Set. 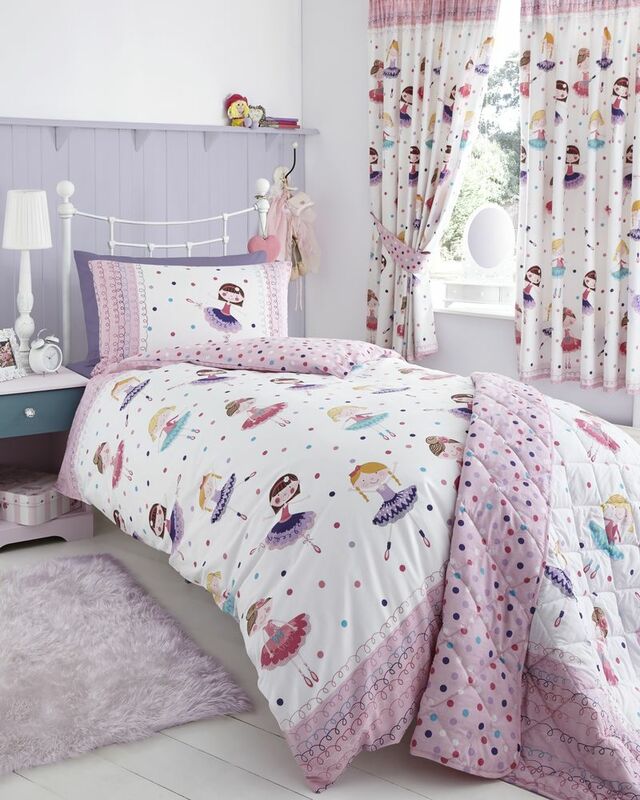 Create a beautiful bedroom for your little ballerina to twirl the night away. 52% Polyester 48% Cotton, Wash at 40 degrees, Machine Washable. 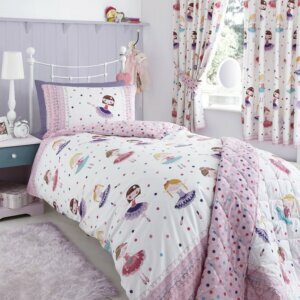 set Includes Duvet Cover and 1 pillowcase. 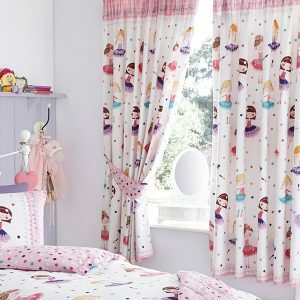 Throw and curtains also available.